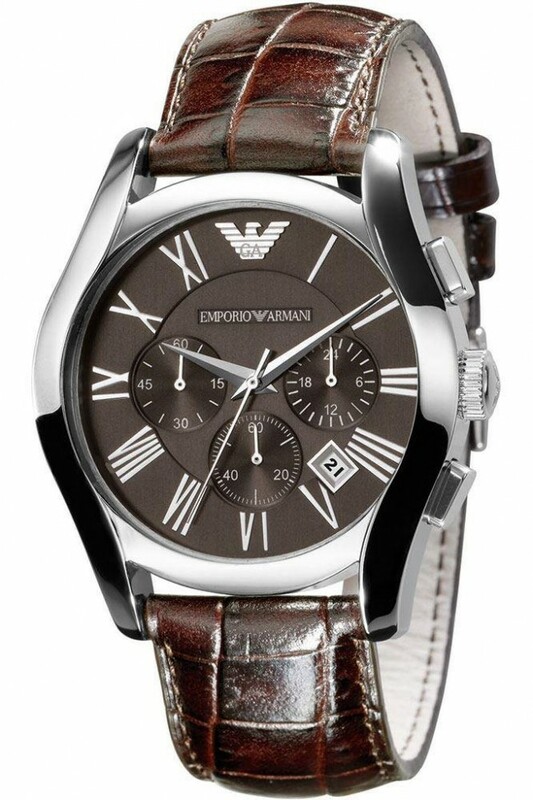 This stylish Emporio Armani mens watch has a sleek brown dial with Roman numeral markers and a date function and chronograph. 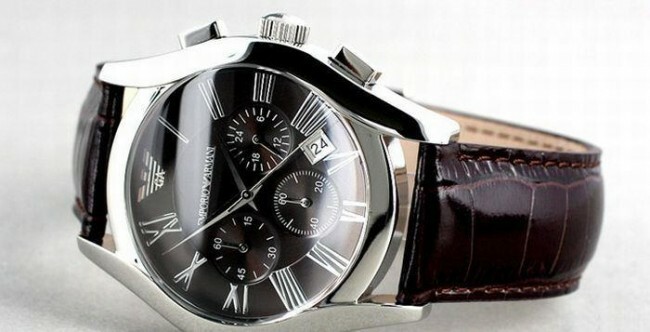 It fastens with a crododile style brown leather strap. This stylish Emporio Armani mens watch has a sleek brown dial with Roman numeral markers and a date function and chronograph. 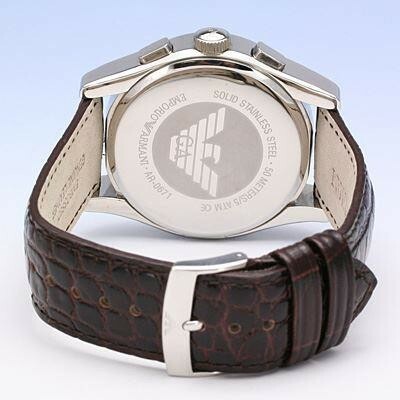 It fastens with a crododile style brown leather strap.